There is no denying fall is in the air now, which means it is time to break out all the fall decor. I love this time of year for so many reasons, but I absolutely love decorating my house to fit the season. The one problem I have in September, though, is resisting the urge to decorate for Halloween too soon. Halloween is probably my second favorite holiday, only slightly behind Christmas. I love the colors, the excitement, the costumes, scary outings, you name it, I love it. So, it’s no surprise that I started gearing up to get all my Halloween decorations ready to go. But who can’t use some new ones to add some fun new touches each year? While browsing Etsy, I found an awesome retailer that creates handmade table runners, banners, and pillows called WhimsicalDesignsbyMe. 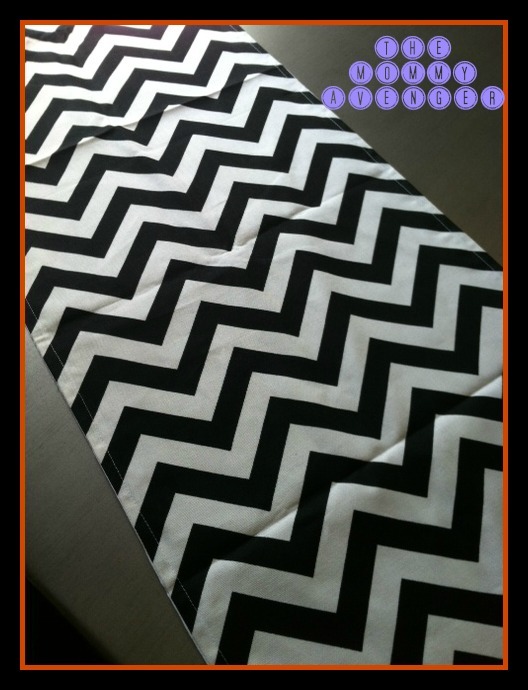 Check out this awesome black and white chevron table runner that I was sent to check out*. 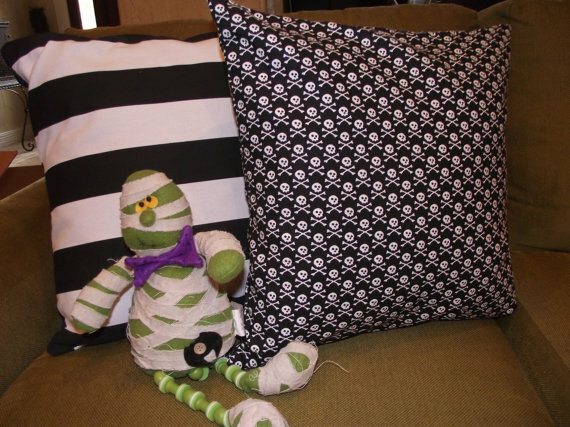 Nice and clean lines, bold color, and smooth fabric make for the perfect backdrop for October family meals or Halloween decorations! I am really impressed with the weight of the runner, as it has a nice, heavy feel to it. I think that is important in a table runner, so it doesn’t move all over the place or roll up easily. Marcie, the sweet shop owner, is very talented and has a great selection of runners perfect for any time of year, with a wide array of materials. I love so many of her items, it is very tempting to pick up quite a few. And at the affordable price point she sells them at, it’s easy to go ahead and do just that! 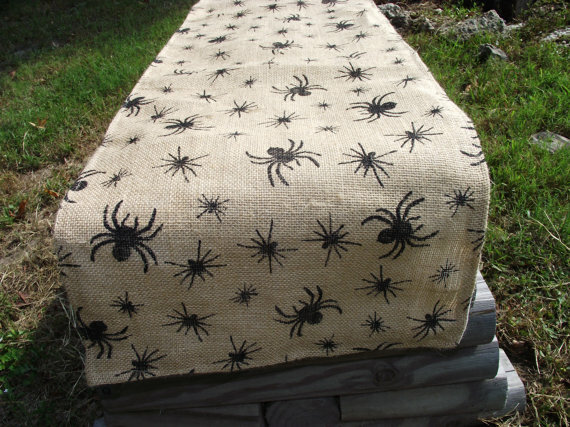 Look at her adorable Halloween pillows and spider table runners on her site. They are too cute! I highly recommend ordering her products, they arrive quickly are wonderful quality and will spruce up your home as soon as they are out of the package! You can purchase your own unique table runners and other products at WhimsicalDesignsbyMe on Etsy!